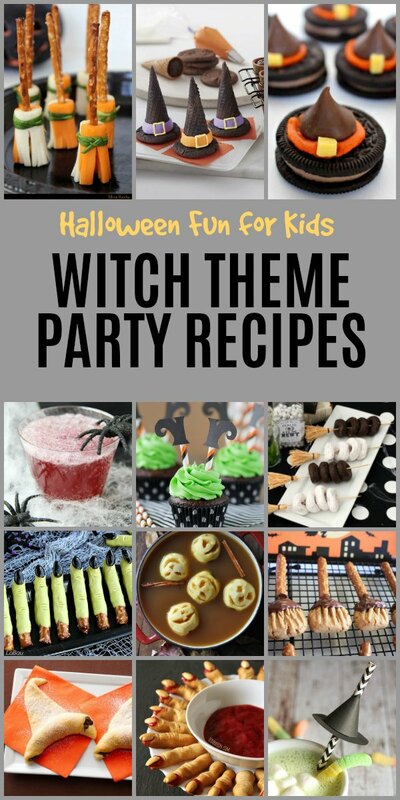 No need to cast a spell to discover these delicious Witch Inspired recipes for your Witch Themed Party for Kids this Halloween. From witch’s hats and broomsticks to brewing potions and bubbling black cauldrons, we’ve put together a spellbinding list that is sure to please even the littlest witch. It’s time to start thinking of your Halloween guests for this kid friendly event. Disclosure: This post contains affiliate links where I earn a small commission when you make a purchase at no additional cost to you. With just a few Witch Themed Party Decorations you can have a spooktacular get together with your child and their friends this Halloween. 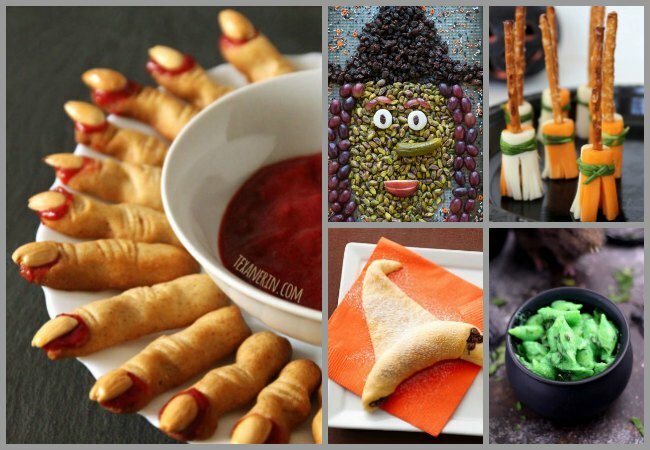 These Halloween Recipes are perfect for a school party or playdate with friends or your annual Halloween Party with friends and family. All Witched themed Recipes to cast some delicious fun on your Halloween guests! Are you ready for some magical fun? Put on your Witch Costume! Stir up your black cauldron. Grab your broomsticks and witch’s hat for an kid friendly Halloween event filled with spells and potions. 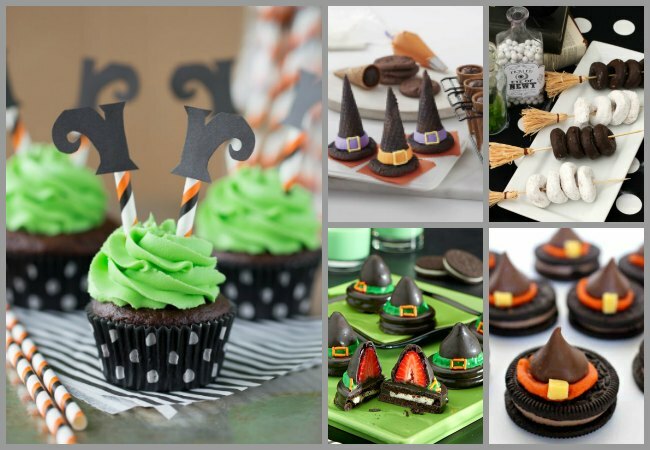 From savory to sweet this Witch themed party will tempt your tastebuds and bring to life the magical time of Halloween. 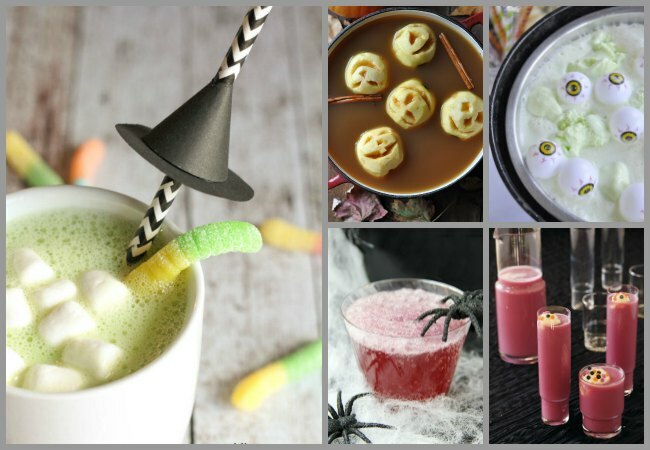 Below are featured Halloween recipes for Witches Brews, Savory Witch Themed Appetizers and even maybe have a spell cast on delectably delicious Witch Themed Desserts. Grab your cauldron and let’s get some magic potions started for this Halloween Party for the kids. Before we talk Witch Themed Recipes… Don’t forget to grab your Witch Party Plates and Napkins to get ready for the your awesome Halloween Party! It’s not a party without a proper Witches Brew to drink with floating foam and eyeballs! Or perhaps you’d rather a brewed apple cider with apple heads floating in your witches brew to drink? Add a spider or two to create Magic Potion Punch or a tasty Purple Potion Punch to hydrate your enchanted friend. Need something to warm you after your broom ride to the party? Try this Hot Cocoa filled with worms and magical spells! You’ll want those adorable orange and black striped paper straws to go with the witch Halloween theme! Click here to buy straws. A witch is not complete with her broomstick, this one is made with cheese and pretzels for yummy fun! Witches grab hold to witches hat with these Whole wheat witch fingers with a little bit of pretend fun with blood. Make a treasured snack from our childhood with Witches Hand with popcorn , so easy an always a big hands on hit with kids! Add your own tasty idea into an easy Witch Hat Crescent Rolls, sweet or savory you decide as you cast your spell. Every witch has a cauldron brewing, why not with some Toxic Waste Macaroni and Cheese? Or be that witch that goes a little nutty with this Halloween witch nut platter ! Grab your witch’s broomstick cookie for a yummy peanut butter treat! One the kids would love to make for a Halloween recipe! You may need to point out how delicious this Witch’s party is with these adorable Witches Fingers with pretzel rods. There’s nothing more witchy than a black cauldron. Try out this ooey goey Witch Brew Jello with bubbling tapioca. 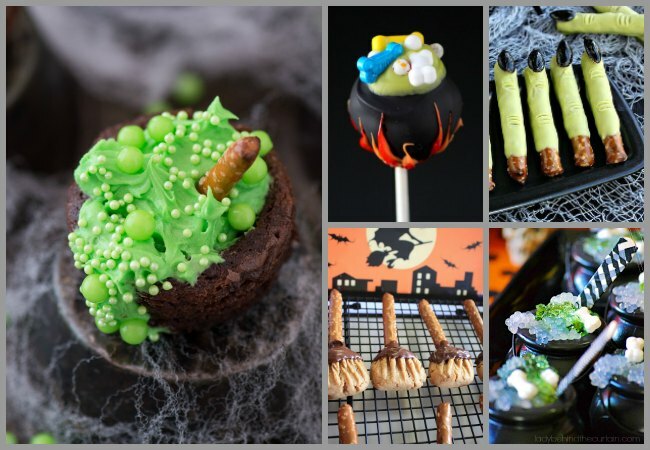 Or create a Bubbling witches Cauldron Brownie with just a few sweet treats for your Witchy Friends. Work your spell magic on creating these amazing Witches Cauldron Cakepops. The kids will be spellbound! Every witch needs her oreo witches hat, this one includes a chocolate covered strawberry. So cute! Learn how to make your broomstick party skewers to enjoy these spooky donuts! With a little bit of frosting, halloween sprinkles and fun you can make the magic happen at your Halloween party! These simple Oreo Witch Hat cookies are a perfect start to make with your child for their friends. Make your Witch’s Hat Cone Cookies stand out as table centerpieces for all your Halloween guests! It’s not a Witches party without a few party gifts to fly home with for your special witches. Grab a few Witch Storybooks for a memorable time with your friends and family this Autumn. Go order your Witches Costume! 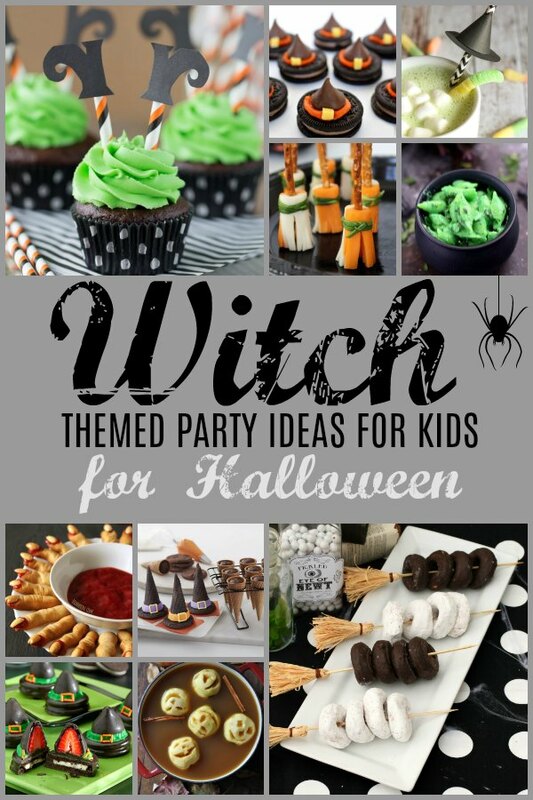 Let’s get planning for the Witch Themed Party for Halloween!